A project pondering the time spent waiting for digital devices to process. The ubiquitous horizontal blue loading line. 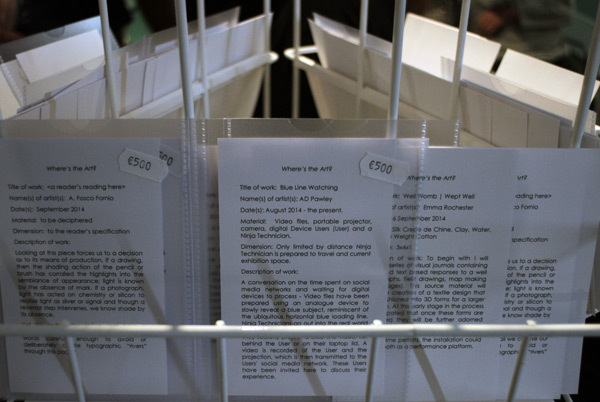 Where’s the Art show, September 2014 organised by CARU. All the proposals were printed on post cards and available for sale.